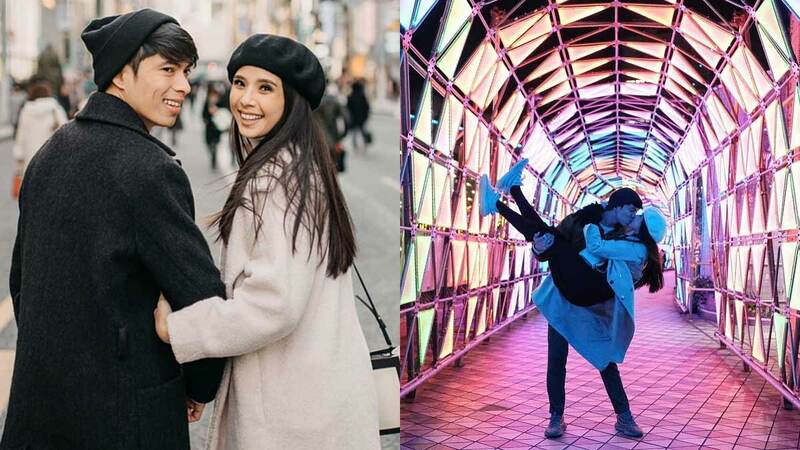 Maxene Magalona and Robbie Mananquil went back to Japan to take a photo in the spot where they got engaged a year ago—February 14, 2017, to be exact. They also had ramen and katsu curry—all yummy requisites when in JP. And if you're wondering when sushi comes in, the newlyweds learned how to make their own (plus tempura) in class! They went to the Yayoi Kusama Museum in Tokyo, too! Another couple is in Japan, too! Neil Arce and Angel Locsin are currently in Kyoto, Japan with their friends for a quick vacay. Looks like Scarlet Snow Belo had the best weekend! She spent her school’s family day with her “proxy parents,” sister Cristalle Belo and PR aficionado Frank Briones. Can you see how big her smile is? Drew Arellano and Iya Villania are expecting another baby boy! Primo is officially set to be a kuya.